White vinyl is limited to 1000. Package deals available with new t-shirt design. Pre-orders ship May 4. In stores May 15. "I'm stuck in here / I'm stuck / Wish I didn't have a name / Wish I could get lost / I'm stuck in here / I'm stuck"
The basic human desire to break free from one’s true self -- if only for a moment -- is a feeling Nate Kinsella (the sole songwriting force behind Birthmark) knows all too well. 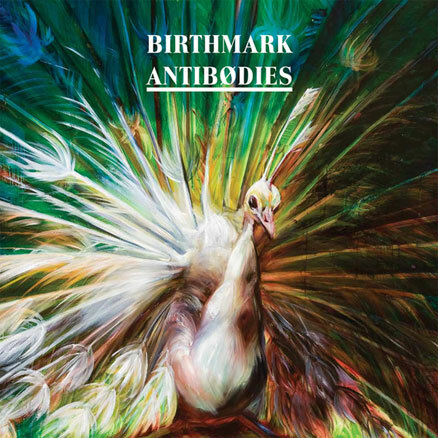 Choose any song on Antibodies, Birthmark's third full-length, and you'll quickly find lyrics that reveal Kinsella isn't always at ease with being the person that he is. "I get so scared, honey / I can never be somebody else / ... / I get so tired of hearing my own voice"
"I really do try to present myself as a positive person in normal everyday life," Kinsella says, "But I also spend a lot of time thinking about death and feeling guilty, remorseful, regretful, and everything in between." And so, Antibodies became Kinsella's outlet for the adverse thoughts constantly lurking just beneath the surface. From the contrast of how he views his own ugly faults in relation to his wife's beautiful flaws ("Your Imperfections") to his self-proclaimed inability to keep on living if a loved one were to be violently taken away ("Pacifist Manifesto"), Kinsella earnestly examines his own fears and shortcomings. And yet, despite a lyrical slant toward acute self-criticism, musically Antibodies unfolds to the ebb and flow of a gentle, unhurried cadence that is often the hallmark of a record comfortable in its own skin. This trait might not seem so surprising, though, when you consider the organic origins of its sounds. From vibraphones to violins, cellos to clarinets, each instrument on the album was played either by Kinsella or a session musician. Even the stunning backwards string section on "Shake Hands" was painstakingly composed and performed with an actual string quartet. Elsewhere, album closer "Big Man" resonates just as deeply from the opposite end of the musical spectrum. Pairing only a sparse bass guitar with Kinsella's reverberating vocals, the song is undeniably captivating in its sublime simplicity. And in the end, Antibodies finds Kinsella closer to being at peace with the knowledge that, as he has learned, "for better or worse, you can't escape you ever." "I wish I could be anything I have to be / But if I were anything different I wouldn't know the difference"
Soulsavers will release their new album The Light The Dead See through Mute (US/Canada) on May 22nd. Featuring vocals and lyrics by Dave Gahan, the record is the follow-up to 2009’s critically acclaimed album Broken. Recorded at various locations and mastered at Abbey Road, the record will be available on CD and digital download. Soulsavers – the music and production team of Rich Machin and Ian Glover – have been a growing force since 2003’s debut Tough Guys Don’t Dance. 2007’s It’s Not How Far You Fall, It’s The Way You Land brought their dark flair to a wider audience. The inimitable Mark Lanegan served as primary singer, though there were also vocal contributions from Will Oldham and Jimi Goodwin. 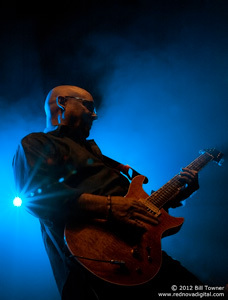 In 2009, third album Broken confirmed that Soulsavers were moving away from early electronica to earthier guitars, use of space and what Machin described as “a soulful twist”. Lanegan again led the vocals on standouts such as ‘You Will Miss Me When I Burn’ and ‘All The Way Down’, with other guest vocalists including Oldham again, Jason Pierce, Richard Hawley, Mike Patton and Gibby Haynes. Clearly, there was no shortage of acclaimed singers ready to lend their lungs to Soulsavers’ stirring, seductive, soothing or startling creations. 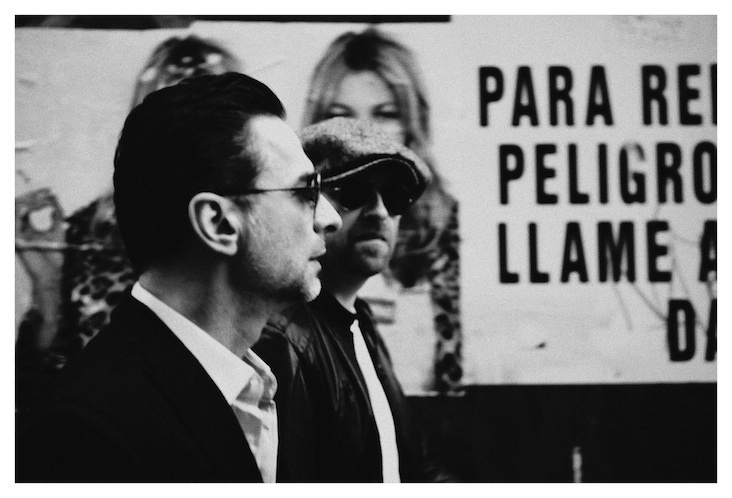 Venturing out from the studio to the road, Soulsavers were invited to support Depeche Mode on the European leg of their vast and eventful 2009-10 Tour Of The Universe, during which tour Dave Gahan bounced back from more than his fair share of illness and injury. Here, the seeds of The Light The Dead See were sewn. With Gahan penning lyrics for the music and recording his own vocals in New York, then Machin building up the results into fully-formed and arranged epics, the international project was a case of “chemistry working”. “Nothing he did, did I need to alter,” says Rich. “Everything he did just felt right. 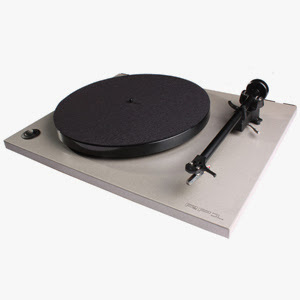 "One of the most remarkable consequences of the digital music age is that vinyl has made something of a comeback. Remember vinyl, kids? It was like a big flat mp3, only it sounded better. The demand for high-quality sound and packaging has been reawakened in recent years and [we are] proud to share these pictures of the ANATHEMA album 'Eternity' (1996). Reissued by Svart Records and re-packaged by Duncan the way it was originally intended to be. The new package includes: all-white gatefold artwork, original design, a new lyric booklet with liner notes from Duncan, a bag and of course two heavyweight 12" vinyls, repressed for maximum sound quality. Limited to just 1000 copies (500 white vinyl, 500 black). He passed today. He'd battled cancer, and staved off old age for long enough. And true to form, he chose his own exit the way he chose his own life. We miss him already, but we're glad to have shared with him while we could." In 1877, the Tchaikovsky's ballet "Swan Lake" debuted. In 1955, jazz great Charlie Bird Parker played at Birdland in what would be his last public performance. In 1959, the winners of the first Grammy Awards were announced. Domenico Modugno's 'Volare' was Record of the Year; Henry Mancini's 'Peter Gunn' was Album of the Year and The Champs 'Tequila' won best R&B performance. In 1963, the Beach Boys released "Surfin' USA." The song was a note-for-note copy of Chuck Berry's "Sweet Little Sixteen" with new lyrics. After Berry sued, he was granted royalties, and all further issues of the song gave him writing credit. 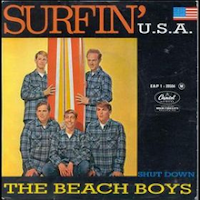 The "Surfin' USA" single, backed with "Shut Down," was released under Capitol Records in the United States in March 1963. The song peaked on the Billboard pop chart at number three, the band's first top ten hit therein. The B-side charted at number 23. The song was re-issued in the U.S. as a single in July 1974 backed with "The Warmth of the Sun". That single also hit the Billboard Hot 100 chart, peaking at 36. In 1966, in London, the Evening Standard newspaper published an article titled "How Does a Beatle Live? John Lennon Lives Like This." In one small part of the story, Lennon was quoted as saying, "Christianity will go. It will vanish and shrink. I needn't argue that. I'm right and will be proved right. We're more popular than Jesus right now. I don't know which will go first, rock 'n' roll or Christianity. Jesus was alright, but his disciples were thick and ordinary." The English public didn't raise an eyebrow over his remarks, but they caused controversy and protest in America when they were reprinted later in the U.S. teen magagine DATEbook. Thousands of Beatles records were smashed at mass rallies and some radio stations quit playing their songs altogether in protest. 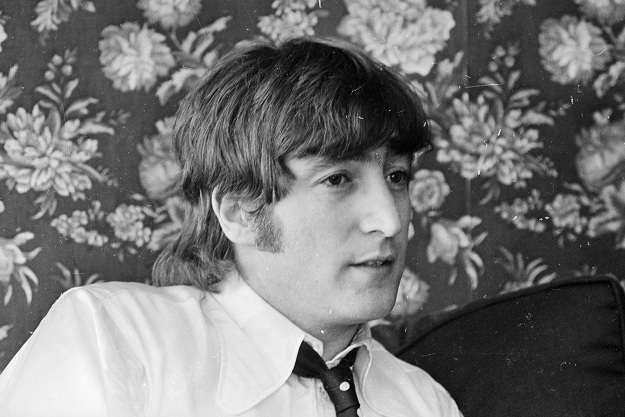 Lennon later apologized, explaining that what he meant was "the way some people carry on, (screaming at their concerts) you'd think we were more popular than Jesus Christ." In 1967, the Rolling Stones went to #1 on the US singles chart with "Ruby Tuesday," the group's fourth US #1 single. "Lets Spend The Night Together" was the original A side but after radio stations banned the song 'Tuesday' became the A side. In 1970, Janis Joplin was fined $200 for using obscene language onstage in Tampa, FL. In 1973, Pink Floyd played the first night on a 19 date North American tour at the Dane County Memorial Coliseum in Madison, Wisconsin. In1973, Elvis Presley released "Steamroller Blues." In 1976, Hall & Oates recorded "Rich Girl." In 1977, CBS released the Clash's self- titled first album in the UK. CBS in the U.S. refused to release it until 1979. 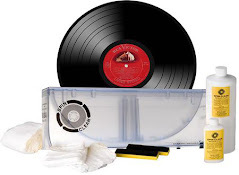 Americans bought over 100,000 imported copies of the record making it one of the biggest- selling import records of all time. In 1977, at the El Mocambo Tavern in Toronto and advertised only as a performance by the opening act April Wine, the Rolling Stones recorded four tracks for their "Love You Live" album. In 1978, the Bee Gees achieved a rare feat on the Billboard Hot 100, with four of the top five songs performed by the Brothers (Stayin' Alive at #2, Night Fever at #5) or written by them (Samantha Sang's Emotion at #4, kid brother Andy Gibb's (Love Is) Thicker Than Water at #1). Dan Hill's "Sometimes When We Touch" was #3. Also in 1978, the US internal Revenue Service carried out a dawn raid at the home of Jerry Lee Lewis and removed cars worth over £100,000 ($170,000) to pay off his tax debts. In 1986, after just completing a two set show with The Band in Winter Park, Florida, 41 year old Richard Manuel of The Band hung himself from a shower curtain rod in a hotel room in Florida. His band mate, Robbie Robertson honored his friend with the song, 'Fallen Angel' in 1987. In 1989, Debbie Gibson started a three week run at #1 on the US singles chart with "Lost In Your Eyes," her second US #1, a #34 hit in the UK. In 1994, Kurt Cobain was rushed to hospital after overdosing on alcohol and drugs in a Rome hotel during a Nirvana European tour. Cobain had taken 50-60 pills of Rohypnol mixed with champagne; rumours on the internet claimed that Kurt was dead. In 1996, country music entertainer Minnie Pearl died after a stroke at the age of 83. In 1997, R&B singer Raymond Edwards of the Silhouettes died at the age of 74. In 2001, Village People singer Glenn Hughes died of lung cancer aged 50 in his Manhattan apartment in New York. He was the original "Biker" character in the disco group who scored the 1978 UK #1 & US #2 single "Y.M.C.A." In 2001, Shaggy featuring Rikrok went to #1 on the UK singles chart with 'It Wasn't Me'. It became the best-selling single of 2001, and was also a #1 in the US. In 2002, Doreen Waddell, singer with Soul II Soul was killed after attempting to run across the A27 in Brighton, England after being caught shoplifting. In 2003, a noisy neighbour was banned from playing her music and had her stereo system impounded, after she had played Cliff Richard music too loudly. 23 year-old Sian Davies was fined £1,000 ($1,700) plus court costs after environmental protection officers raided her flat in Porth, Rhondda, Wales and seized 15 amplifiers and speakers, plus 135 CDs and cassette tapes. The disc found in her CD player was the Cliff Richard single, 'Peace in Our Time'. A spokesman for the Cliff Richard Organization said he was delighted to hear of somebody in their early 20s owning one of his many recordings. He added, Cliff would not want anyone to play his music so that it caused a nuisance. In 2006, Jaheim was at #1 on the US album chart with 'Ghetto Classics' the American R&B singer's third album release. In 2007, Kaiser Chiefs started a two week run at No.1 on the UK album chart with their second album 'Yours Truly Angry Mob'. In 2009, in New Orleans, Britney Spears began a world tour, her first concert tour in five years. The show featured jugglers, acrobats, martial arts dancers and Spears dressed as a ringmaster. In 2010, singer/guitarist Lolly Vegas, lead vocalist of the band Redbone, died of lung cancer at the age of 70. In 2011, singer Johnny Preston died of heart failure at 71.